Summary. The objective of this article was aimed to examine the size of transaction costs on educational measures in the dropped and repeating courses, and to find out ways to reduce the transaction costs on educational measures. The results showed that transaction costs on educational measures for each course varied depending on the rules and teaching and learning technologies as well as the student performance evaluation measures. In reducing the measuring transaction costs of education, the finding showed that self-practicing and self-learning by information technology. Therefore, the determination of measurable standards or tangible identification of students' access to data and the identification of clear roles between lecturers and learners can be validated in measurement and course practices can be identified. Key words: transaction costs on educational measures, lack of information, Measures at reasonable expenditure. Dropping course problems in the undergraduate students have involved the appropriate human resource management. This matter is considered critical to human resources investment. In spite of the suitable learning management and transmission, dropping courses, on one hand, represents a problem of the shortcomings of selection system implemented by the educational institutions . However, on the other hand, it represents a problem of measurements or criteria that the learners are restricted to accessing data or measuring methods required by the institutions’ standards or instructors. Consistent with the explanation, citing that an exchange of goods and services and the accurate estimation in goods and services need to be executed in the way that may result in the measurement cost and appropriate measurement techniques that may prevent mistakes, but reassure the accuracy of measurement costs [2, p. 67]. The problems regarding the measurements of labor resources preparation quality in the education market have stemmed from preparation of the leaners on one hand, and a lack of data and clarity in the measures implemented, leading to the repetition of the students, on the other hand. In fact, repeating courses is a problem that must be addressed. Over the past years, repeating courses may provide technical perspectives and assistance rather than developing a paradigm in the viewpoint of the interpretation that self-directed learning is defined in learning activity process to acquire new academic information and a response to educational attainment , role of rules and terms in the courses that contribute to the determination of the measurement costs. The objective of this article was aimed to examine the size of transaction costs on educational measures in the dropped and repeating courses, and to find out ways to reduce the transaction costs on educational measures. The transaction cost on the educational measures represents an additional cost to materials and ethical resources that must be borne in the transactions by the participants. Because of data imbalance and opportunistic behavior, adaption plans and the investigation of the obligations in each subject are required [5, p. 89-102]. Kapelyushnikov  considers the quality of education management tool as transaction cost, a necessary resource for adaptation plan and control in the implementation of individual obligations in the process of alienation and the acquisition of rights and freedoms, transparency policy and easy access to data. At the university level, the in-house transaction cost involves the educational service while the preparation of labor skills and human resources in the economic activities of the university represents the education market wholly. The given behaviors of participants in the economic activities over such educational market include rules, practices and environment [10, p. 60] through buyer and seller relationship and market mechanism, determining the timeframe, quality and quantity of services provided by the educational institutions, and personal needs. To reduce the limits of opportunism in the measurement cost, it is imperative to create incentives for compliance with contractual obligations and in compliance with the customer interests . The specificity of the authorized access to data becomes an educational transaction cost (disclosure, negotiation, measurement, scoring, verification, and protection of opportunistic costs, etc.). However, a bit of the investigation of the educational transaction costs on subjects has been evidenced, because the most of the interest have been paid to whole study rather than the university level and clients. The academic service transaction provides insight that data has been relied on [4, p.140 –141). In practice, data is determined by imperfection, quality, speed, and thoroughness. However, it was proven that no approaches have been applied to the education to address the courses repeating on Measurement Cost. With the ineffective measurement, the education market may disappear. Measurement costs are directly correlated with the exchange support of the education market . Regarding the measurement cost on dropping courses, the following dimensions are taken into consideration, a lack of examples in solving problems, unclear known answers, contacting with teammates for answering questions, consulting the instructors, points added by the instructors, the instructors guide the exams in advance, the instructors assign the same tests repeatedly, self-searching by learners, non-traditional content appearing on the exam test, different lectures provided individually by the instructors. The investigation of dropping courses of the undergraduate students during the year 2009-2015 on Laws for Economists (60 persons), Evolutionary Concept in Economics (87 persons), Basic Econometrics (32 persons), Microeconomics 2 (101 persons), it found that the transaction cost of educational measures on individual subjects varied obviously. Basic Econometrics demonstrated the highest transaction cost in term of time lost, representing 6,825 minutes or 113.75 hours per person, followed by Laws for Economists, (939.08 minutes or 15.65 hours per person), Microeconomics 2 (873 minutes or 14.55 hours per person) and Evolutionary Concept in Economics (156 minutes economics or 2.6 hours per person). In terms of money lost, Basic Econometrics , representing 1,216 Baht per capita, Microeconomics 2 (640 Baht per capita), Laws for Economists (95 Baht per capita), Evolutionary Concept in Economics (80 Baht per capita). Mainstream transaction costs of measurements incurred in the instructional process of the instructors and learners include the students undergoing the problems, contacting with teammates for answering the questions, answering the questions, unclear known answers, different lectures provided individually by the instructors, a lack of examples in solving problems, self-searching by learners on Laws for Economists and Evolutionary Concept in Economics. In addition, the exact measurements, answering the questions, clear known answers, a presence of the examples in solving problems, and answering the exams questions demonstrated the lower level of transaction cost as compared to that on Basic Econometrics and Microeconomics 2 in which the aforesaid were not met. The instructors guide the exams in advance, the instructors assign the same tests repeatedly, lack of examples in solving problems, unclear known answers, different lecture provided individually by the instructors. Good practice in setting exam questions, cost savings in measurement, and protecting the interests of learners. The size of the transaction costs on educational measures has been relied on the designed course evaluation, with emphasis on self-directed learning at the appropriate size of the time budget of the courses. Therefore, the determination of measurable standards or tangible identification of students' access to data and the identification of clear roles between lecturers and learners can be validated in measurement and course practices can be identified. The asymmetry of the course information can be reduced, leading to the reduced cost in student coordination. The future research should concentrate the cost of opportunistic behavior of the lecturers, measuring methods and e-examination that would meet the student’s self-learning goals, the clearly-defined role of the learners and the instructors, the development of new measurement variables that provide more accuracy in determining the working environments of the learners and the instructors. Thank the Institute of Research and Development Thaksin University’s research funds under the annual budget strategies 2015 for sponsorship to this research project. Cheung, S. A.Theory of Price Control / Journal of Law and Economics. -1974. - № (17). - C. 53-71. Gruzdev, I.A., Gorbunova E.V. & dr. Student screening In Russian universities: To the problem / Education issues. - 2013 - № (3). - C. 67-81. Kapelyushnikov, R.I. Category of transaction costs. How it is done: financial, social and information technologies: Sat. Sci. Tr. M. - 1994. - №23. - С. 32-49. Kramin, T.V. Transactional costs management in the system of company cost management / Economics. - 2007. - № 31-С. 140-146. Malahov, S. (1996) Some aspects of the theory of Non Perfect competitive equilibrium (two- Factorial model of transaction costs) / Issues of economics. - 1996. - №10- С. 89-102. McManus, J. C. (1975) The Cost of Alternative Economic Organizations / Canadian Journal of Economics, VIII. - 1975. - № 8 – С. 334-350. Suwan-achariya C., Latae K. (2017) Reducing transaction cost of learning economics by Information Technology. Songkhla: TSU. – 2017. – 178 c.
Vasyagina, O. M. Transactional costs in the management of quality of education in higher education. Economics and modern management: theory and practice / coll. Art. By mater. XXIV Intern. Scientific-practical. Conf. - Novosibirsk: Sibak. - 2013. - C.137-140. Williamson, O. (1993) Behavioral Prerequisites of Modern Economic Analysis / THESIS: Theory and History of Economic and Social Institutions and Systems. - 1993. - №3 – С. 39-49. 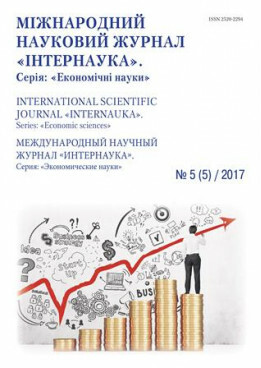 Zhiltsov, E., Zuev,V., Kolosova, R. The commercialization of higher education in Russia / Bulletin of the Moscow State University. Ser. Economy. - 1993. - №6 - С. 59-66.